Tiffany Rachel presents a tribute to Patti LaBelle! 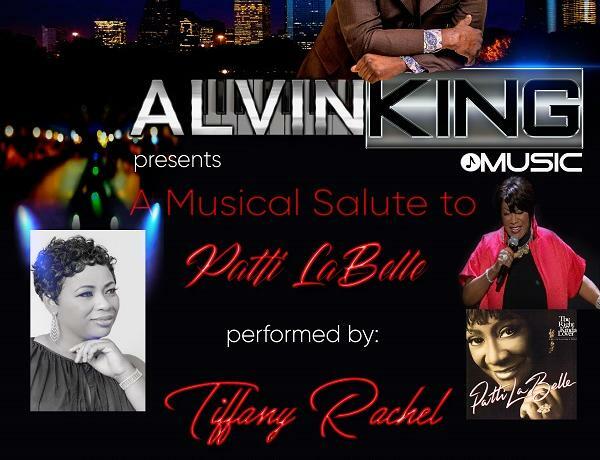 Don't miss this amazing performance by Tiffany Rachel as she pays tribute to the great Patti LaBelle! Live at Martini Blu Jazz Cafe!! Wednesday Night Jam Session! and Gourmet Food! with Sal Capone! Houston Start Mother's Day Weekend off Right! with Alvin King! Houston - Mother's Day Saturday Night with Trisha Jones Honoring Moms! VEGAS NIGHT -Weekend Celebration! At Martini Blu Jazz Cafe! !